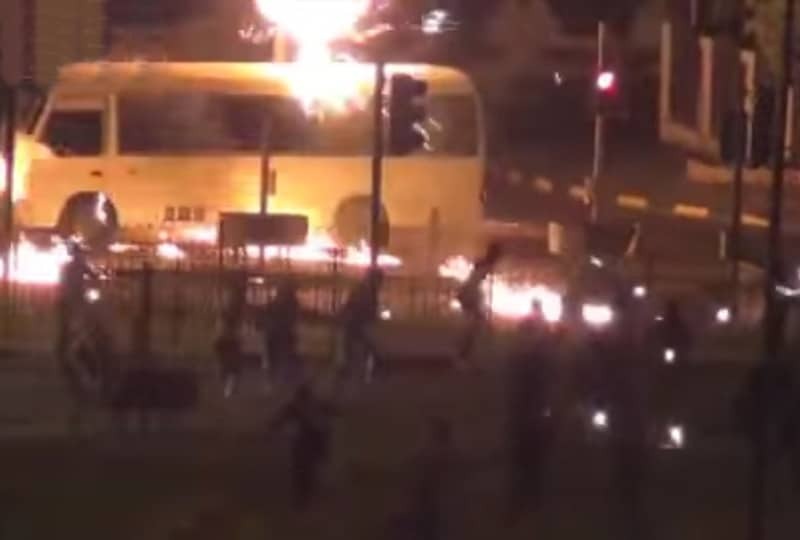 It has been common knowledge and everyday sight in Bahrain, ever since the February 2011 troubles started, that children are used by terrorists, thugs, trouble-makers and anti-national elements to achieve their goals. There have been instances where children have been used as human shields or to transport bombs, explosives, arms etc. or to plant them and to throw stones, metal rods and Molotov cocktails at police as well as at demonstrations to create chaos. The Bahrain Human Rights Watch Society has now compiled a detailed report on the dangerous trend of using children for such activities, which endangers their lives, and released it at a seminar in Geneva on the sidelines of the 32nd United Nations Human Rights Council session. Even though the report relates only to the year 2015, it nevertheless documents an alarming number of 110 cases [one case almost every third day] of Bahraini children involved in street violence. The report is backed by photographs and official statements. There have been heart-rending consequences too which such children have suffered. In March 2014 an 11-year-old Bahraini boy Haidar Khalid Saeed had his hand blown away by a bomb he had been ordered to carry and plant in a specific location. A month later two boys aged 16 and 18 [Ahmed Abdulrasool Al AMasjen and Ali Abas Ali Ahmed] were killed while transporting a homemade bomb in their car. What the report does not say is that the terror groups have taken the trend to a new level of dastardliness. Not only do they use children to suit their ends, they also want to ensure that children are scared away from going to schools, and to achieve this goal the government schools are consistently attacked. In the past five years there have been close to 500 terrorist attacks on schools by way of firebombings or physical attacks and damage to their property, including furniture, computers, glass windows and electrical fittings. This trend to destroy the young generation and indoctrinate and brainwash the youth reveals yet another dangerous and nefarious game the terror groups controlled by their masters sitting in Iran and Lebanon are playing. One only hopes their exposure at a United Nations forum in Europe is noticed and the world body acts to take measures to control this trend.